We can ensure the cleaner and better condition of your tiles, marble, granite, laminate, ceramic, terrazzo, terracotta and other floors. Our staff work with professional machines and cleaning products which remove soiling, grit, stains, limescale, mould and grime. The rotary machines they utilize ensure perfectly washed and clean tiles, slates and grout. We carry our excellent washing and rinsing of the hard floor coverings which are rid of the dirt they have accumulated. 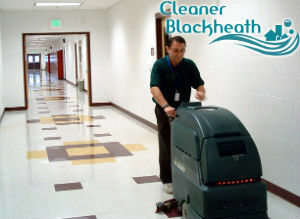 Our hard floor cleaning and polishing services can be booked by the Blackheath, SE3 residents and those living nearby. Our staff use powerful rotary machines which have brushes that spread the cleaning solution and wash the tiles and slates. They ensure the perfectly clean condition of the tiles, slates and natural stone floors. Squeegees and brushes trap the dirt while powerful vacuum cleaner extract it. Hard to be reached areas are cleaned by hand with suitable cleaning solution and tools. We offer top-quality hard floor cleaning and polishing in the Blackheath area to owners of domestic and business estates. Use our services to remove soiling, grit, stains and grime from your floor area. To maintain the washed, rinsed and dry floor from further soiling we apply protective coatings. They make the cleaned floor lustrous, shiny and keep it this way for long time. The polishing products and equipment which our staff apply make the floor area look better. Our staff use buffers to remove scratches, dents and other signs of wear and tear. This makes the tiles and slates perfectly clean and rid of stubborn stains. We can offer you our matchless hard floor cleaning and polishing which is at your disposal in SE3 every day in the week. Get in touch with our call centre to schedule the inspection and refreshing of your dirty hard floors.